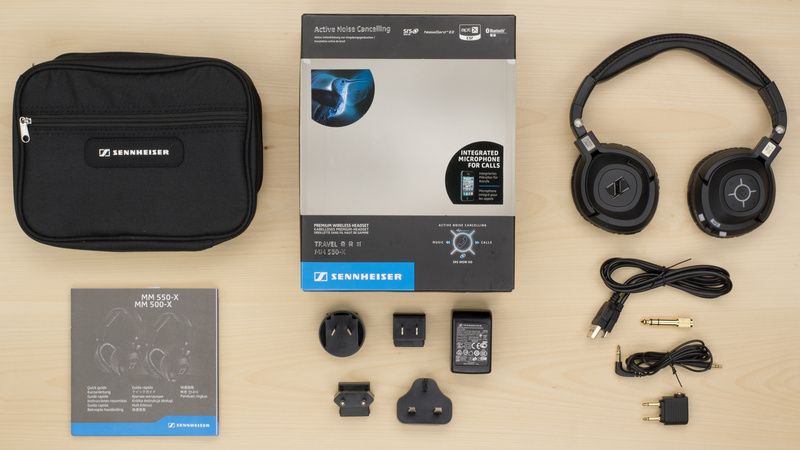 The Sennheiser MM 550-X Wireless are lightweight, comfortable headphones that unfortunately fail at delivering balanced audio reproduction and efficient noise isolation. They don't leak much sound but, dissapointingly, allow a lot of ambient noise to seep into the ear cups. 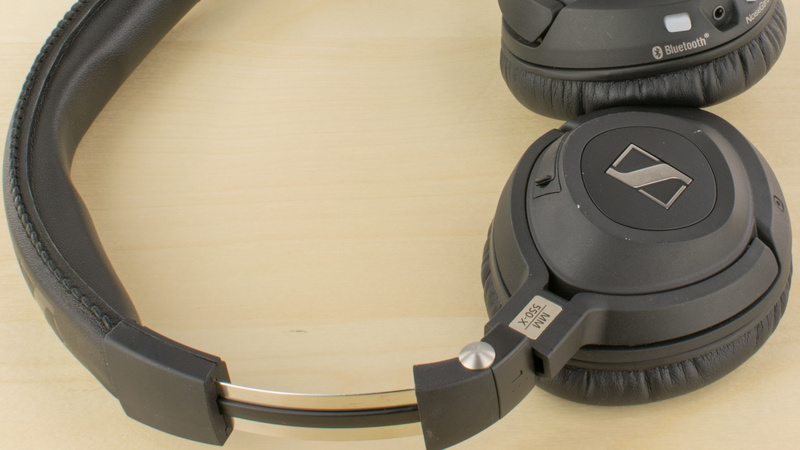 The MM 550-X are lightweight, compact headphones that deliver decent comfort and build quality. 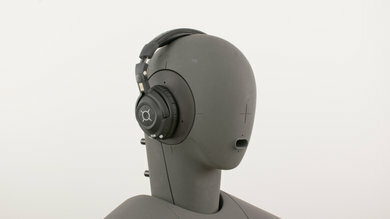 The small ear cups fit well around most listeners' ears and they do not exert too much tension on the head. However, their cramped button layout and thin frame take away from their overall design and build quality. The MM 550-X have an understated, compact design that is smaller than most other over-ear headphones. Their all-black color scheme has a few silver accents from the Sennheiser branding and the metal frame. The headband is covered in a faux leather material that looks high-end and matches the padding of the ear cups. The MM 550-X provide a decent amount of comfort. 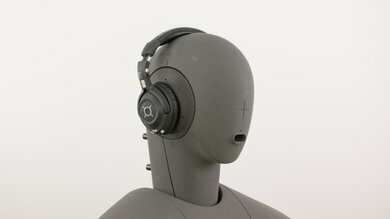 The small ear cups encompass the ear surprisingly well and the padding used is soft. They are lightweight and don't apply too much pressure to the head. Unfortunately, there is only minimal padding on the headband and ear cups. This prevents the ear cups from molding well around the ear, which can be a little uncomfortable, and especialy so after long listening sessions. Button layout and functionality is quite good but a little cramped. 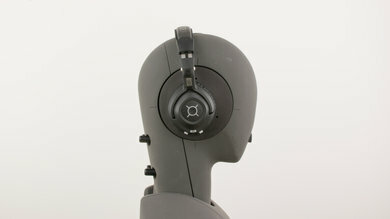 All the controls available can be found on the ear cups. Noise cancelling, Bluetooth, SRS, Volume, call/music and track skipping are all present but unfortunately cramped on the right ear cup, which is slightly disappointing. 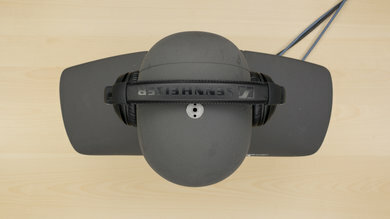 The MM-550x are stable enough for use while doing sports. They're not designed for high-intensity physical activities, but the lightweight ear cups do not sway much while running or jumping. 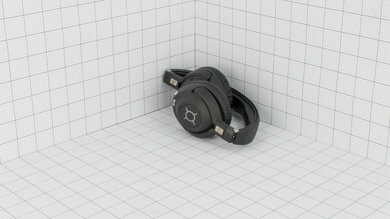 They're tight enough to maintain a stable fit easily during casual listening, and the wireless design prevents them from being pulled off your head because the audio cable got hooked on something. The MM-550-X are fairly portable. They're smaller than average over ear headphones and fold up into a more compact format that's easy to store and transport. However, they still take up a moderate amount of space in a bag and wouldn't comfortably fit in a jacket pocket. They are somewhat cumbersome to carry on your person. 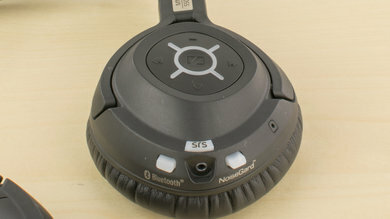 Comes with a soft case that will protect the headphones from scratches and minor falls. 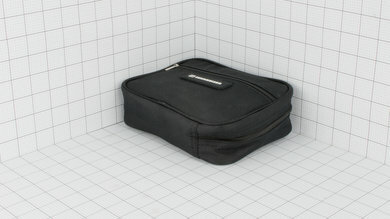 The case also stores ll the provided gear for the headphones comfortably. However, the soft case fabric will not shield the headphones from hard falls, high physical stress or water damage. 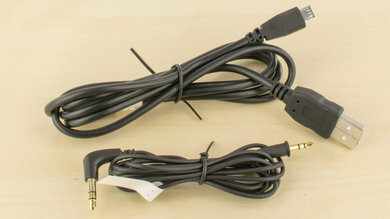 It also adds quite a bit of bulk to the headphones making them less portable. Build quality is decent but not great. The metal frame, though thin, feels sturdy and flexible enough to handle a decent amount of stress and the ear cups are made out of dense plastic. However, the joints seem weak and susceptible to breaking and their lightweight, smaller design seems geared more towards portability than durability. 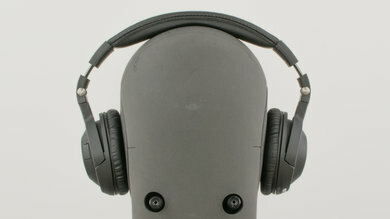 The small ear cups of the Sennheiser MM550-X deliver a decent seal that doesn't leak much sound. 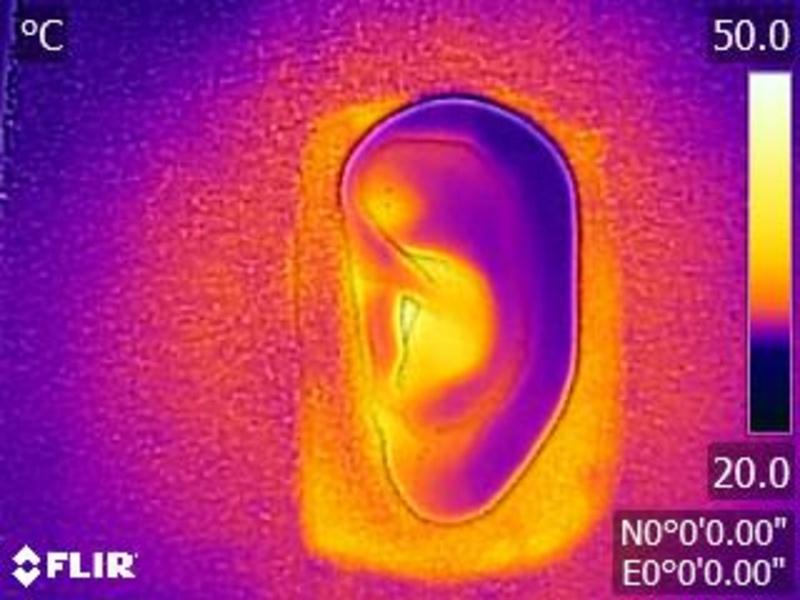 Unfortunately, the inefficient active noise cancelling does not successfully reduce ambient noise enough for an isolated listening experience. The ambient noise of a moderately loud office is enough to distract you from your audio, which is disappointing. 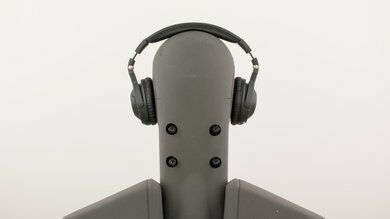 The earcups provide decent passive isolation in the treble range. However, in the mid and bass regions, where the active noise cancellation should be the most effective, these headphones do poorly. Especially in bass, where they don't kick in until 100Hz. Very good leakage performance. 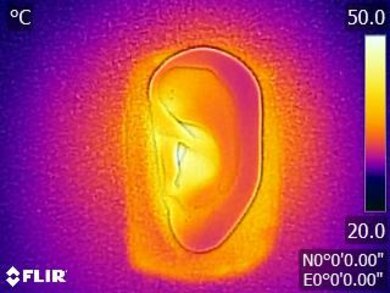 The leakage profile is very narrow (just surrounding 2KHz). The leaked audio is not too loud. 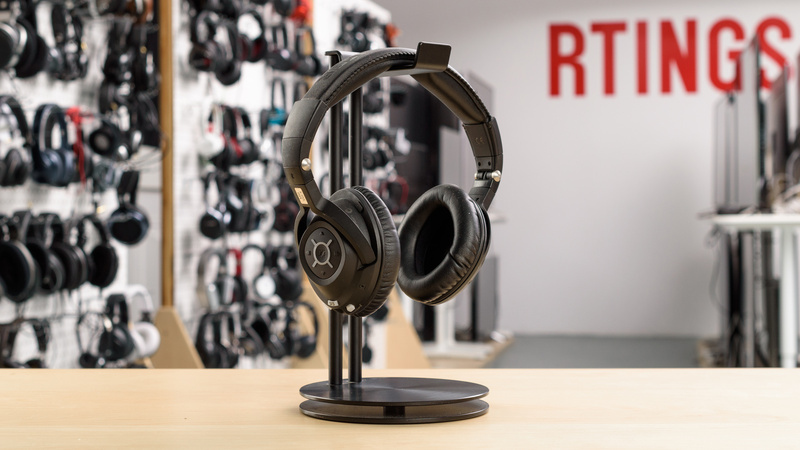 The MM 550-X have a fast and reliable wireless connection that supports aptX. They do not have the best battery life but have a lot of battery saving features that prevent them from running out of juice when not in use. They also charge relatively fast but have an outdated Bluetooth 2.1 connection. It won't be much of an issue as most devices are backward compatible but that plus the lack of an app to customize sound makes them not as good as some of the more recent models from Sennheiser like the PXC 550 Wireless. The MM 550-X offered an above-average wireless range when the Bluetooth source was obstructed. 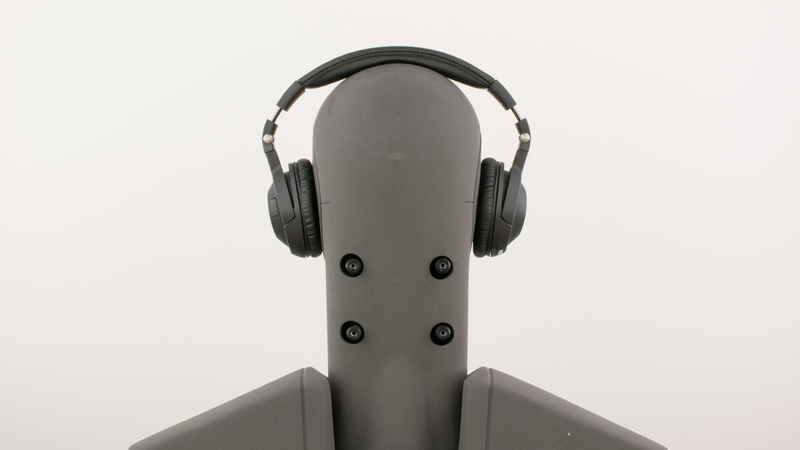 As long as there a not too many walls these headphones would be a good option for moderately sized offices. They won't be the most far-reaching in direct line of sight, but unless you're often outdoors or in large open spaces, it shouldn't be much of a concern. Unfortunately, they're not the easiest to pair and don't offer NFC. Also, the Bluetooth version and codec are a little outdated so you may experience latency issues when watching videos. The MM 550-x have mediocre battery life but are fully charged within 2 hours. They won't be the best headphones to take on long road trips or lengthy flights, but you can squeeze about 7 hours of use when all the features are enabled and at regular volumes. However, they take about 60 mins of not being in use before they turn off, which doesn't save much save power. 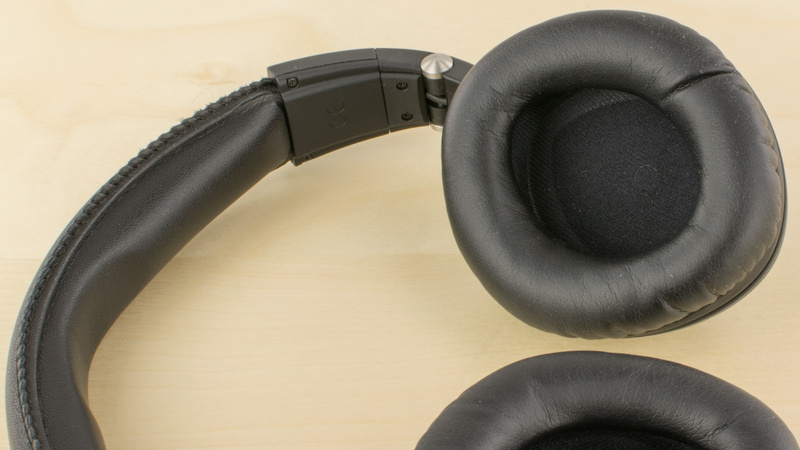 The MM 550-X are compact over-ear, noise canceling headphones ideally for traveling and commuting. 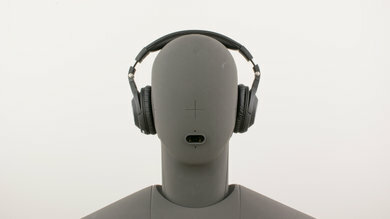 Unfortunately, they're lacking a strong isolation performance and their sound quality may be a deal breaker for some. Subpar for critical listening. They have a sharp and poorly balanced sound with a small Soundstage.They lack an exciting bass and their treble range is too harsh for most. Below-average for commuting. They're compact and easy to carry around but don't block a lot of noise. Average for sports. They're lightweight compact and wireless. However, they're a little unstable for high-intensity exercises. Average for home theater use. Their sound quality lacks a little excitement, and if you don't have an aptX-ready source, then the latency delay will be noticeable.